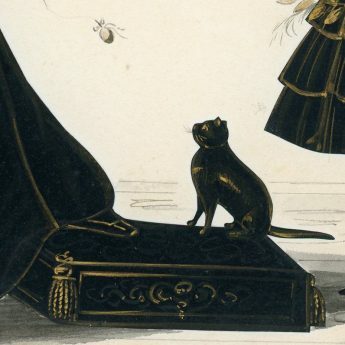 Home / Collections / Teasing the Cat! 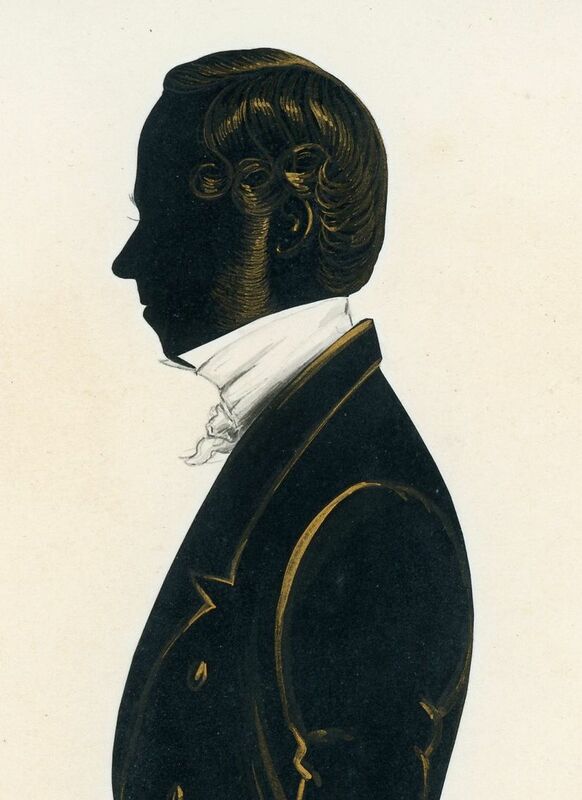 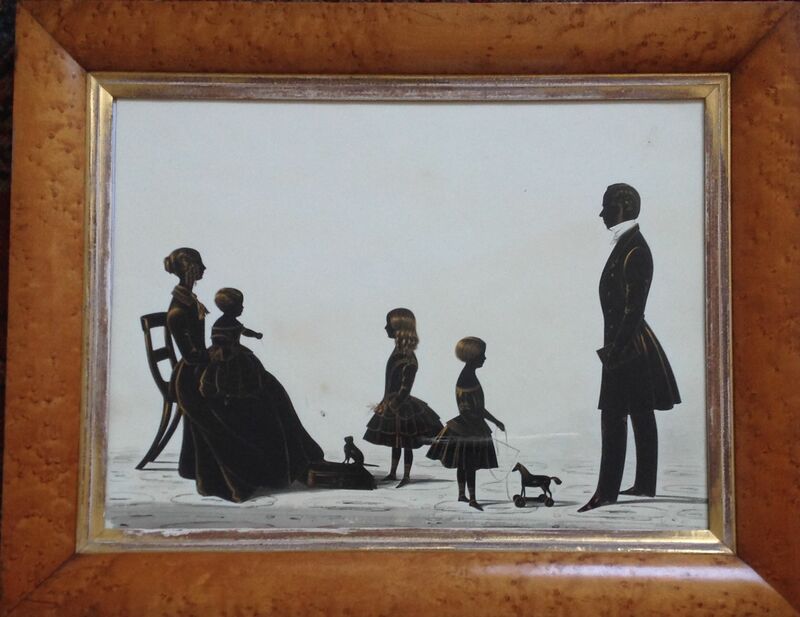 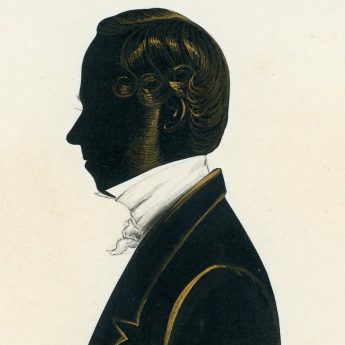 This is without doubt one of the finest and most delightful silhouette conversation pieces we have had the pleasure of offering, its only detraction being that the identity and whereabouts of the family have been lost to history. 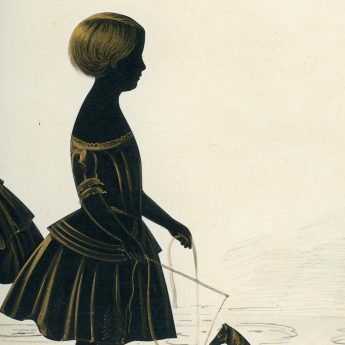 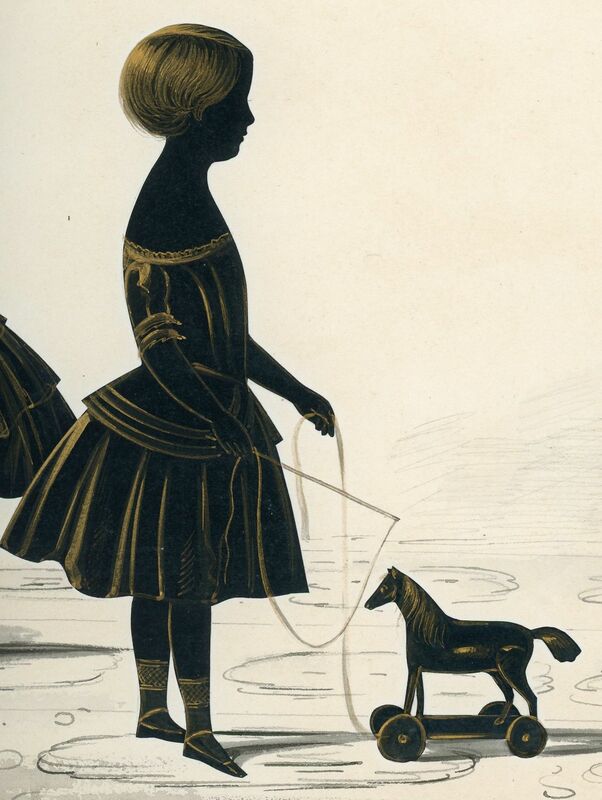 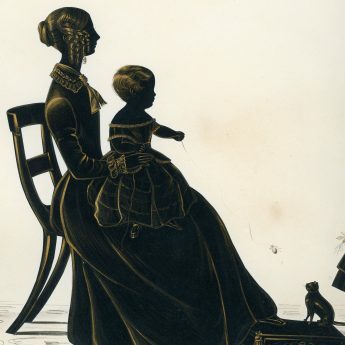 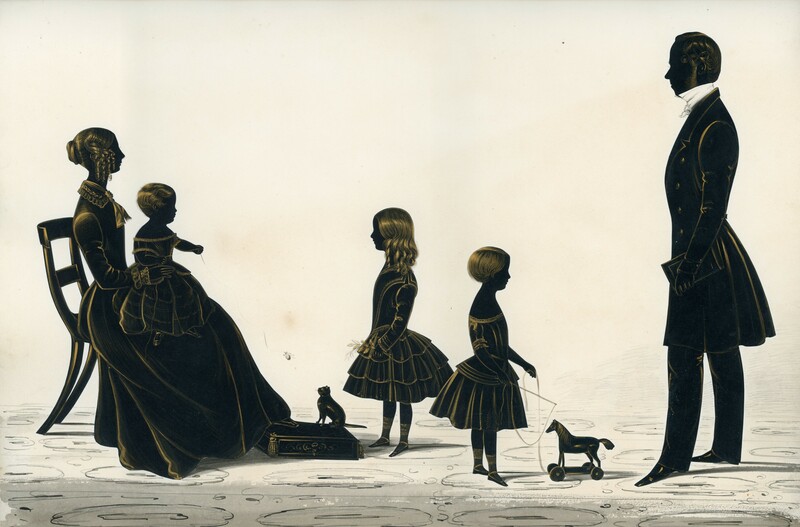 The silhouette shows a young family: the father, wearing a frock coat and knotted white stock, stands holding a book; facing him is the middle child, a boy, in a wide-shouldered dress and ankle socks with strapped shoes holding a toy whip and pulling along a toy horse on wheels; behind him is the eldest child, a girl, holding flowers and wearing a pretty dress with a tiered skirt, her hair in with long ringlets; she faces her mother who, wearing a beautifully rendered dress, her hair drawn back in a twisted knot with ringlets arranged round her face, is nursing the toddler who is dangling a toy insect on the end of a long string to tease the little cat that is sitting on the tasselled footstool and looks about to pounce. 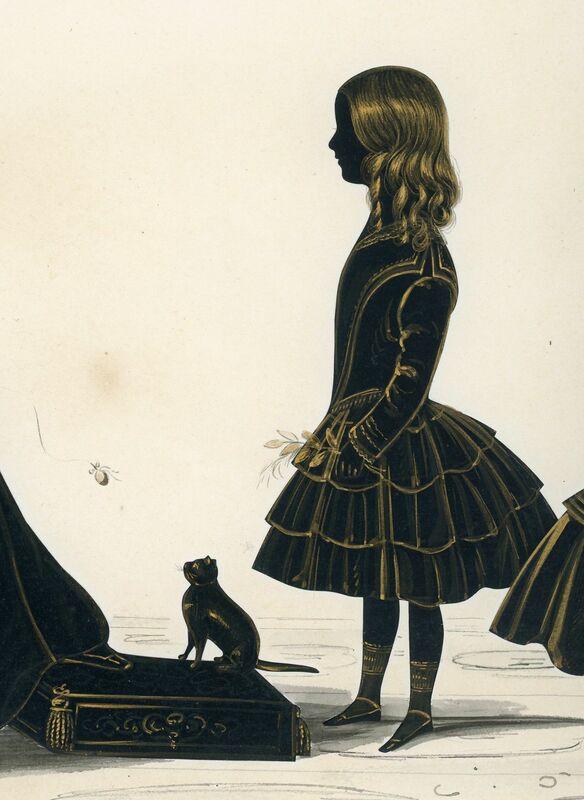 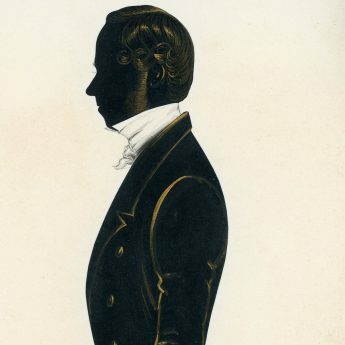 The silhouette is entirely cut with small watercolour detailing for the gentleman’s shirt and stock, the whip, the flowers and the flying insect. 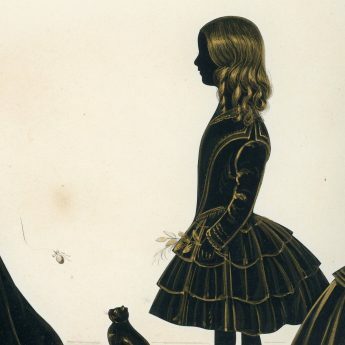 The gilding is exceptionally fine and certainly rivals the work of the Royal Victoria Gallery. 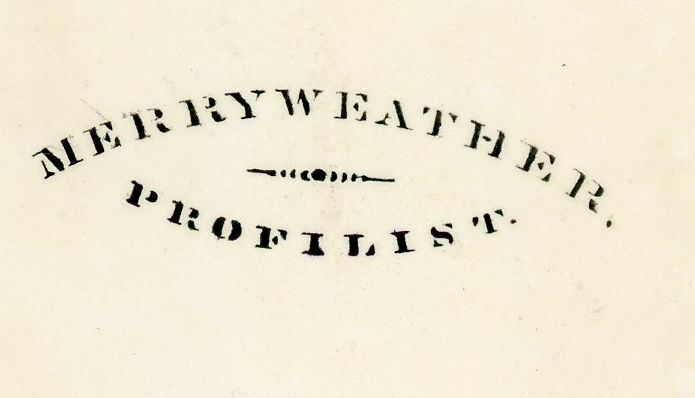 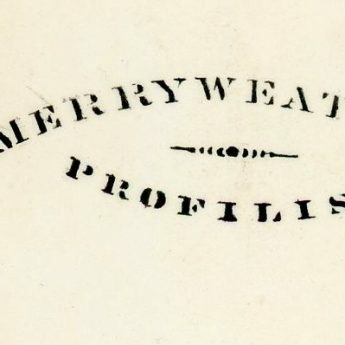 The reverse of the silhouette has the artist’s stencil stamp ‘Merryweather / Profilist’. 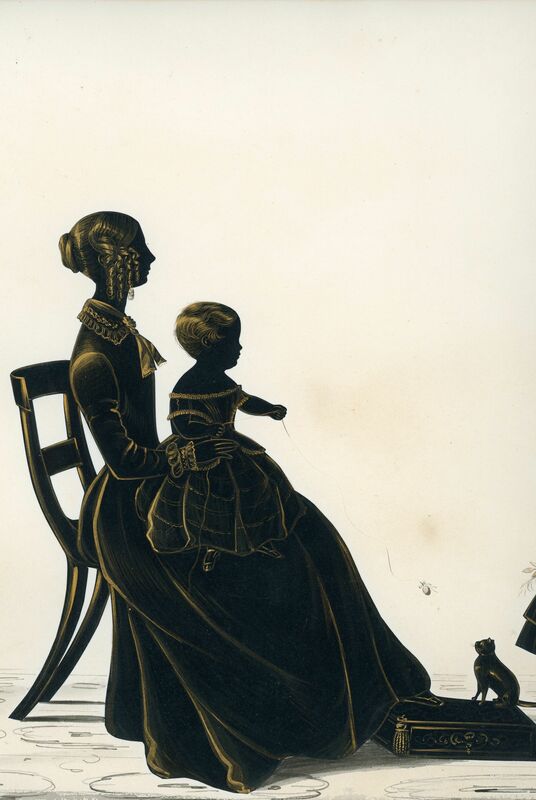 It resides in the original bird’s eye maple veneer frame with a gilt slip (some wear and loss of colour to the slip) and old rippled glass. 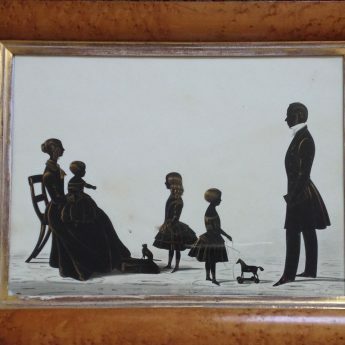 To the best of our knowledge this is the first ‘signed’ conversation piece by Merryweather that has come to light. 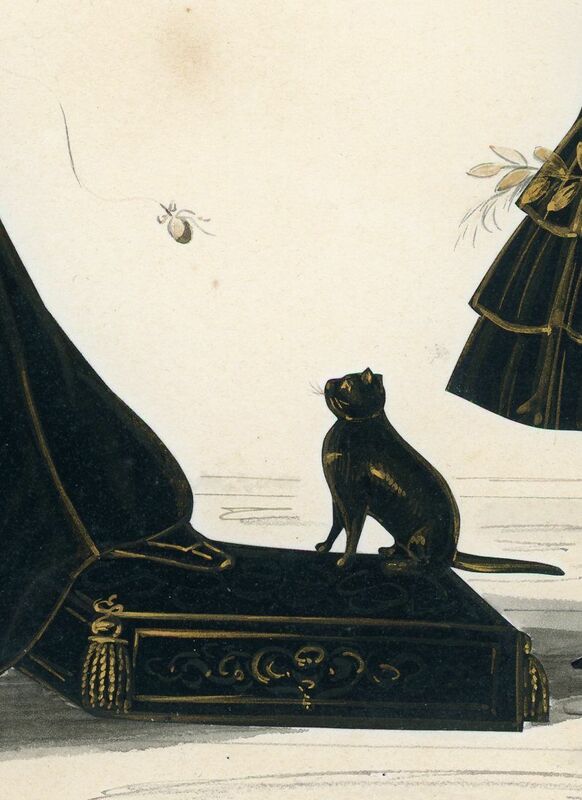 No details have as yet been uncovered about this most talented artist.